The Times New Roman: Debauchery In the Desert Tour! Can't wait for my first trip to the desert... finally! 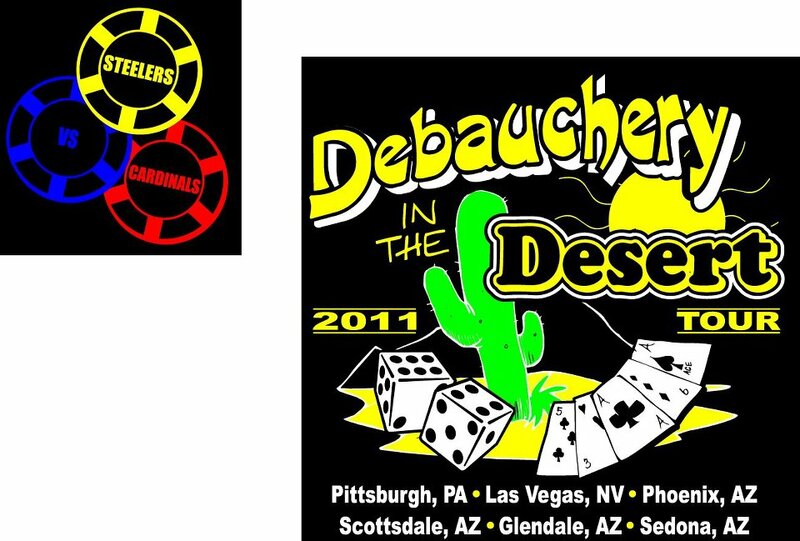 Looking forward to gambling, champagne limo trips, tailgating Arizona style, Steelers, wine tasting, rocks and so much more! I'm staying at the Flamingo, so I'm going to "keep an eye out" for the spirit of Bugsy Siegel (he supposedly still haunts the hotel) and I'll be looking up in Phoenix for the lights!